Changing Gears by Nancy Sathre-Vogel I received a digital copy of this book to review. All opinions are my own. Changing Gears: A Family Odyssey to the End of the World by Nancy Sathre-Vogel is an inspirational travel memoir about a family who spent three years biking from the northern-most tip of Alaska in North America to the southern-most tip of Argentina in South America. John and Nancy Vogel were both teachers with previous experiences in long distance bicycle journeys when they decided to quit their jobs, sell or store all of their belongings, and begin their journey from North to South America with their two sons Danny and Davey. Their decision not "to choose a well worn path through life" drew some criticism. While they traveled, Nancy blogged about their journey. Some readers thought that the journey was too arduous and that their lifestyle was not appropriate or was too dangerous for young children. The journey was hard. Often the family battled cold and fought to stay warm. Other times they were hot, tired, and dirty. In many places there was only primitive camping with no water, toilets, or showers. There were mosquitoes, ticks, and biting flies. There were broken bikes and broken, tired bodies. But in life, there are trade-offs. This family sacrificed the comforts of home, soft warm beds, and the convenience of water and food whenever they wanted it for something else. Along their journey, they saw beautiful, awe inspiring scenery - mountain ranges and valleys, jungles and deserts. 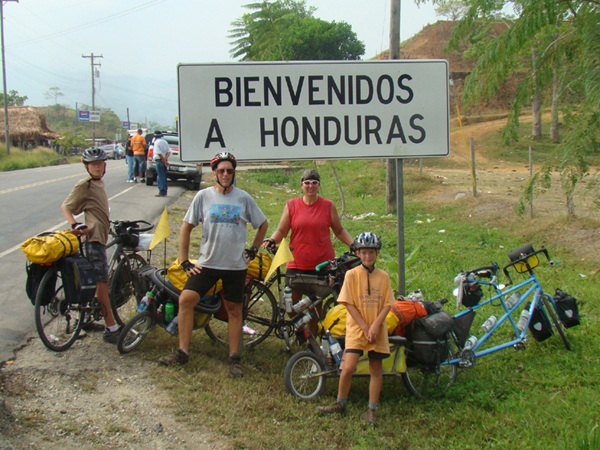 They experienced new cultures and met many "Road Angels." These Road Angels were people, often strangers, who helped them along the way with gifts of food or water, people who helped them navigate safely through unknown cities, and people who gave them a place to take shelter or pitch their tent. The Vogels had the incredible experience of spending three years together bonding as a family and creating memories which they will never forget. And they shared an incredible feeling of satisfaction of knowing they were brave enough to follow their dream, even when others criticized it. From the very beginning of the story, which recounts how they were chased by a grizzly bear in British Columbia, I was hooked. I started reading this book and just couldn't stop. 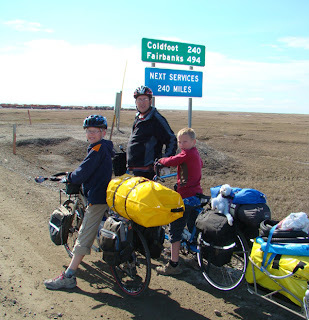 Just as the Vogel family was propelled onward and just wouldn't stop pedaling until they reached their ultimate goal of Ushuaia, the southern-most point of South America, I was just as compelled and couldn't stop reading until I got to the end of their story. Would they make it? Would they have enough food and water to make it to the next town? 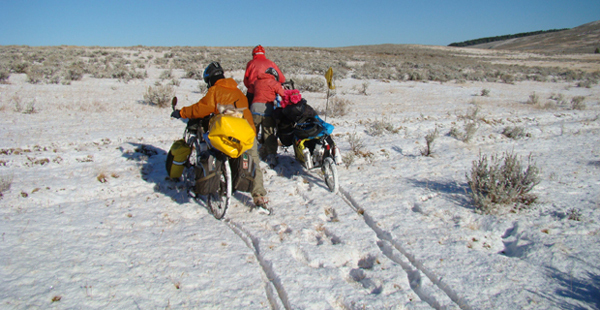 Would their bikes and equipment hold up to the thousands of miles traveled? Would they find the sheer will to keep going through extreme heat and cold, steep mountain passes, and constant wind? Could they find the physical, mental, and emotional strength to go on to the very end to accomplish what they had set out to do? I laughed out loud at the circus-like description of local vendors selling their wares on a bus the family was traveling on in Honduras. As a mother myself, I felt the worry and concern of a parent with sick children. I cringed at their injuries and I cheered with them with each victory and each mile gained. This book doesn't necessarily make me want to ride a bike across countries and continents. I certainly wouldn't want to camp in primitive conditions for three years. But this story did make me question how I'm living my life and it made me think about my priorities. The author asks "What would you do if you were not afraid?" and reading this story made me seriously ponder this question. I admire this family's determination, commitment, and passion to follow their dream. I admire this family's bravery and courage to live their dream no matter how strange or crazy it may seem to others. I admire this family's physical and emotional strength to have accomplished such an amazing feat. I enjoy reading travel memoirs and this is one of the best I've read. 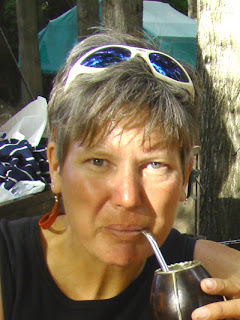 Really, it's more than a travel memoir, it's a story of pursuing your passions and following your dreams. 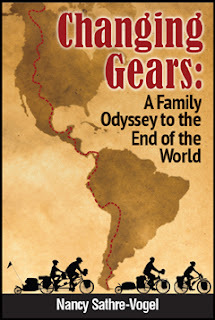 Go here for more information about this amazing family, see more pictures, and to read the first two chapters of Changing Gears. Excelente relato! Lo voy a comprar! Gracias! I love, love, LOVE this part: "But this story did make me question how I'm living my life and it made me think about my priorities. The author asks "What would you do if you were not afraid?" and reading this story made me seriously ponder this question." If we would all take the time to seriously ponder that question, this world would be a better place.